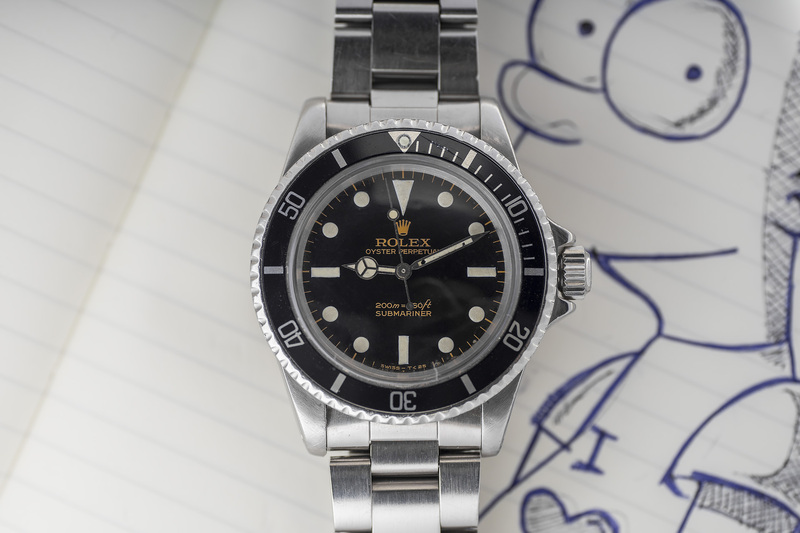 The 5513 ‘Bart Simpson’ Submariner must be one of the rarest Subs out there. Made for a very short period of time (about one year) this last of the Gilt dial Submariners is not easy to find. Especially one like we are offering here, with its exquisite funky dial of black, golds and green! 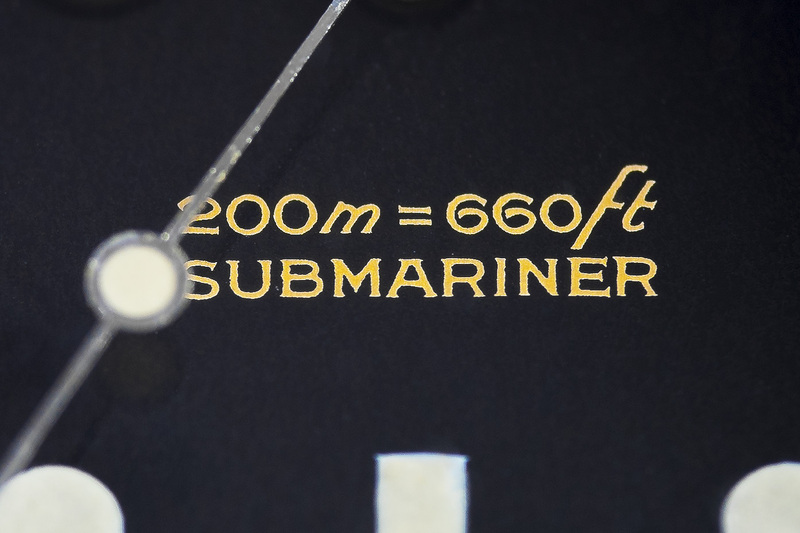 Like all gilt Submariners, these watches were ‘meters first’ displaying the depth capability in meters (200m) before the equivalent depth in feet (660ft). 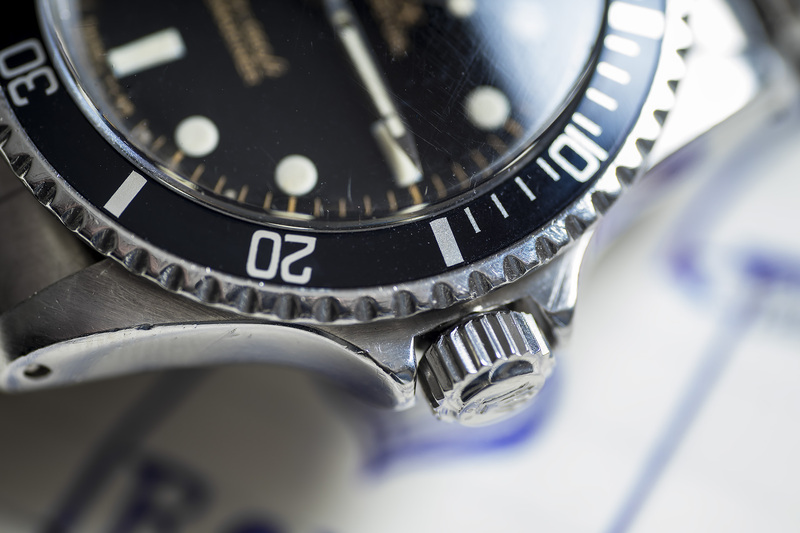 These watches also were among the very last Subs made with gilt dials (gold lettering) and during this transitional period most of them came with steel hands. 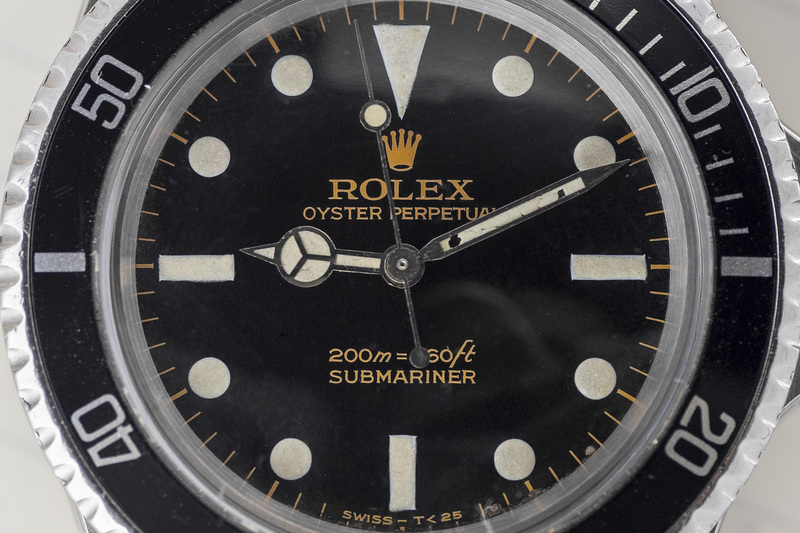 It is important to note that the gilt writing on Rolex dials was in fact done first, after that a glossy black lacquer coating was placed on top of the dial wherein all the lettering for the dial was left open, hence the effect of the sunken gold lettering AKA the Gilt Dial. 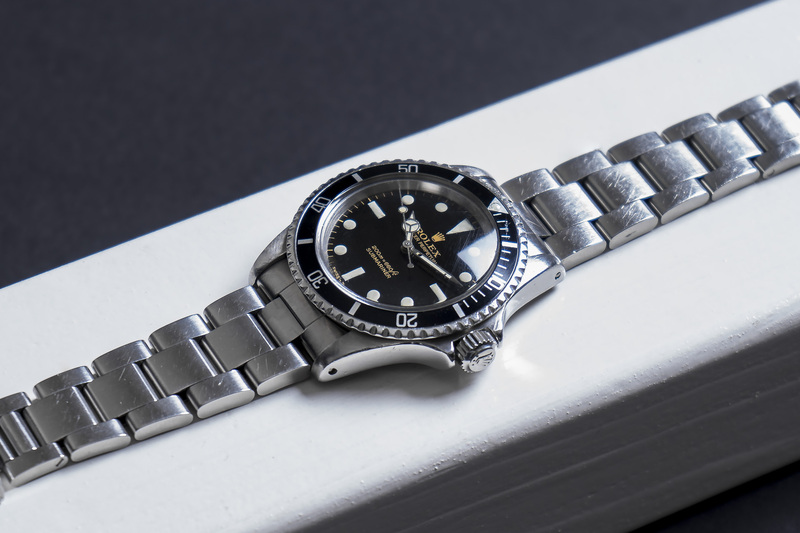 These Bart Subs seem particularly prone to some funky aging of the lacquer, but which can give a great natural vintage look to the watch. 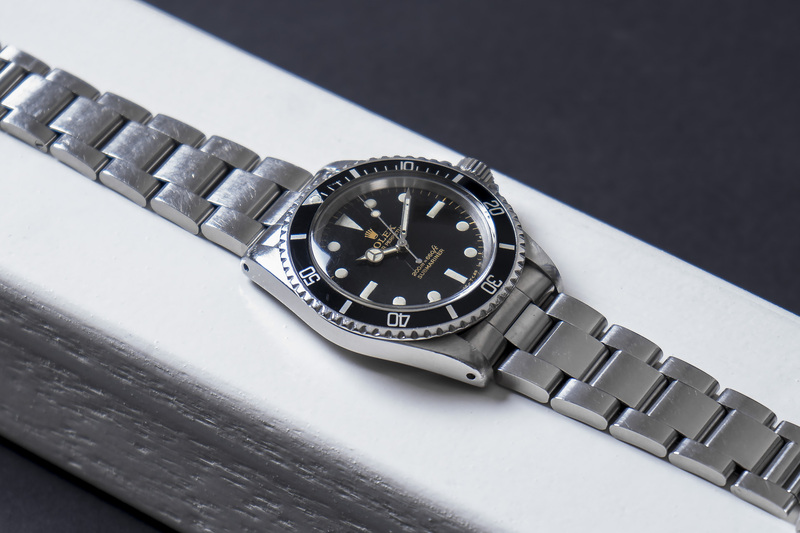 As is the case with our 5513, the dial is showing some matte characteristics, but a part of the glossy black lacquer is also still present, giving the surface of the dial an almost granular finish. A killer combo with the sunken gilt lettering, especially when the watch is worn outside in daylight or in direct sunlight! 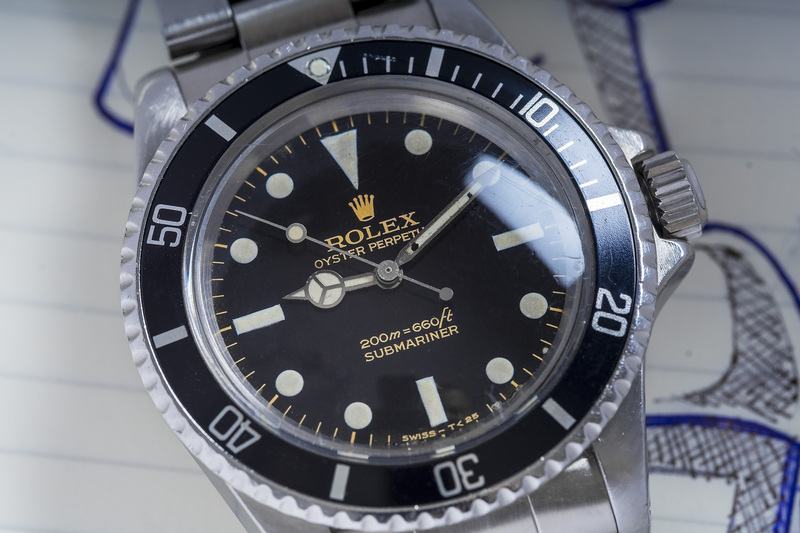 These 5513 Submariners we now know as the Bart Simpson, were made predominantly in 1966 and featured a considerably more short and stout version of the Rolex coronet (logo crown) that seems to resemble the head and hair of the mischievous cartoon character, Bart Simpson. 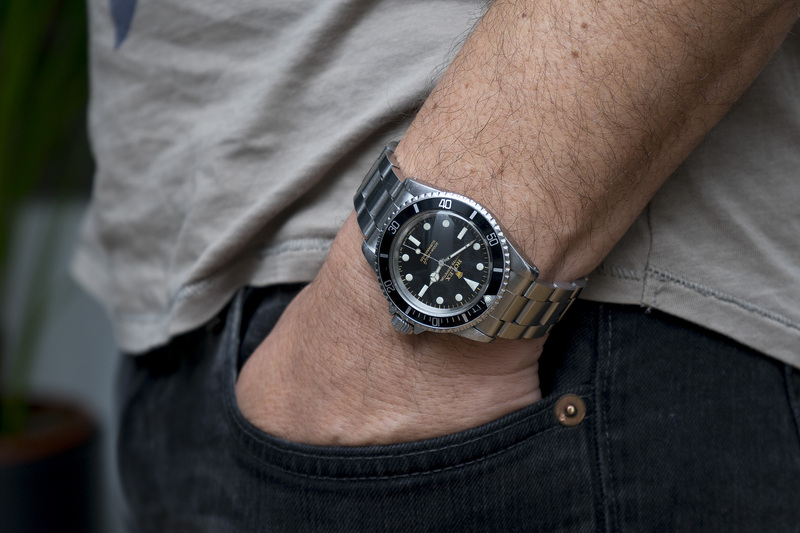 Most Bart Subs used a Tritium compound for the watch its luminous characteristics. But for a very short period of time a compound of Sinc Sulfide Tritium was used. Sinc Sulfide Tritium stays green, doesn’t develop a beige or brown patina and still glows in the dark till this day. It is to believe that no more than 200 Submariners (5513) were fitted with these dials! Making this a very, very rare 5513! 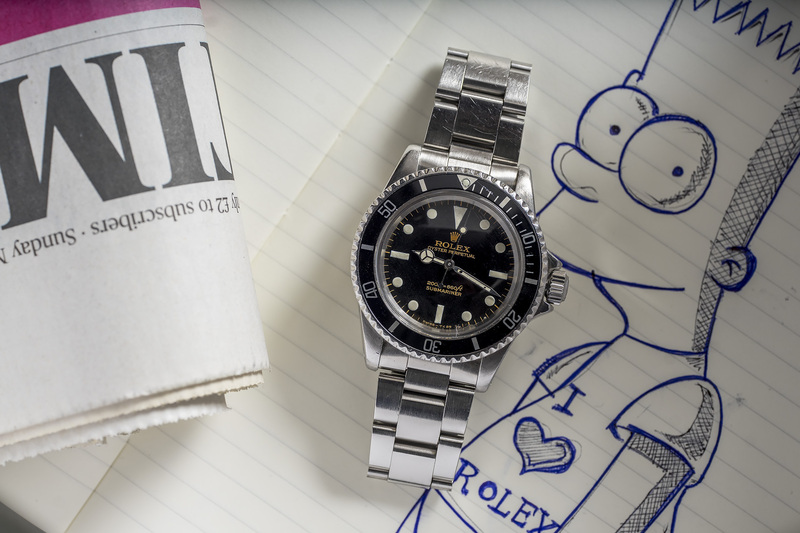 The Bart Simpson Submariner is a true Vintage Rolex classic, but above all one of the rarest Submariners ever made. This is not an easy watch to find, don’t hesitate too long!